eSSential LMS is built to simplify even the most complex learning needs. The eSSential LMS (Learning Management System) makes delivering, tracking and reporting on corporate training activity faster, easier and more accurate. Founded on an agile development philosophy, we continuously add new functionality based on feedback from our clients. Exceed your training & development goals with award-winning learning management technology and customer support. Great training engages learners and provides measurable results. 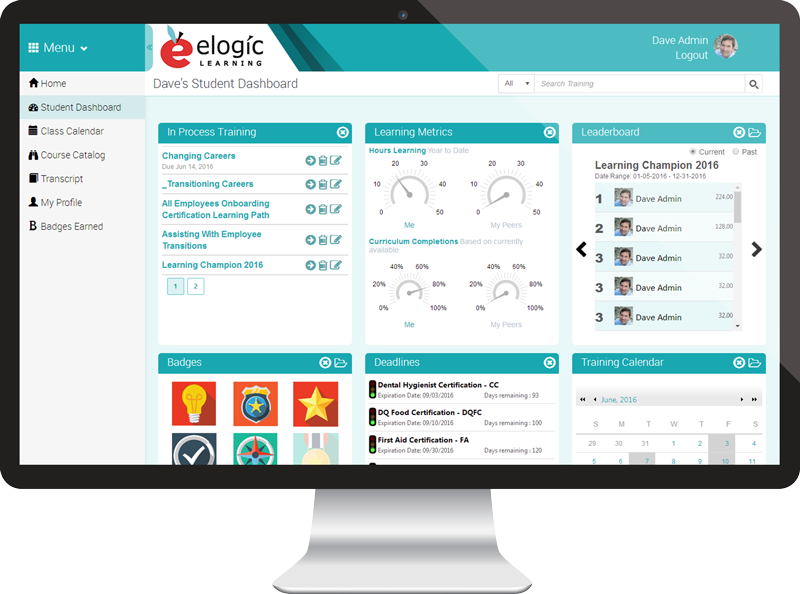 eLogic provides both software and learning solutions to meet your needs. 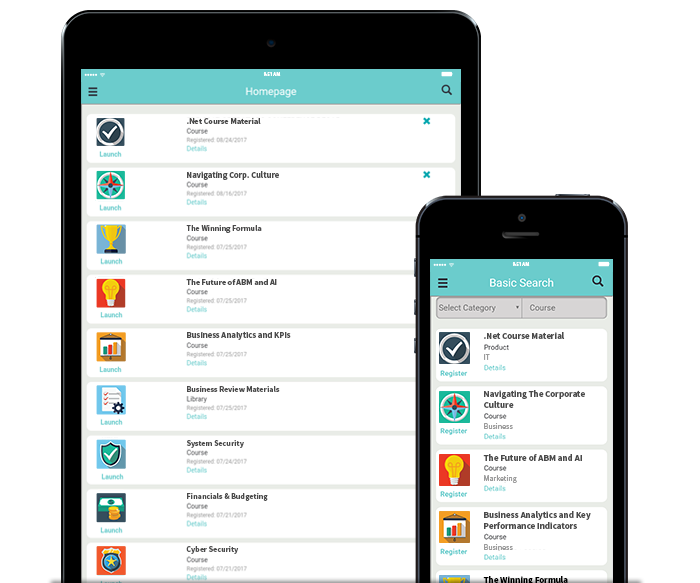 Foster a collaborative learning environment with forums, ratings and reviews, leaderboards, contests, and more. Give users the ability to see what matters most to them through the Learning Console, with drag-and-drop tiles. Nest elearning, in-person training, and/or materials into a learning path that leads your users toward a desired outcome. Create a unique LMS portal for each audience (team, department, location, etc.) that you control from one location. Keep employees up-to-date on regulatory training & certifications. Never worry about a compliance audit again. Use our audit-ready report or create your own through our ad hoc report feature that can be ready at a moment’s notice. Lay out your compliance program in a logical and step-by-step process by using compliance paths. Verify training acknowledgement and comprehension by mandating e-signatures. Keep everyone in compliance with automatic certification and training reminders. Training doesn’t have to be a cost center. More & more of our clients generate revenue & sell courses with the eSSential LMS. Transform your LMS from a training center to a profit center with the the eSSential LMS eCommerce module. 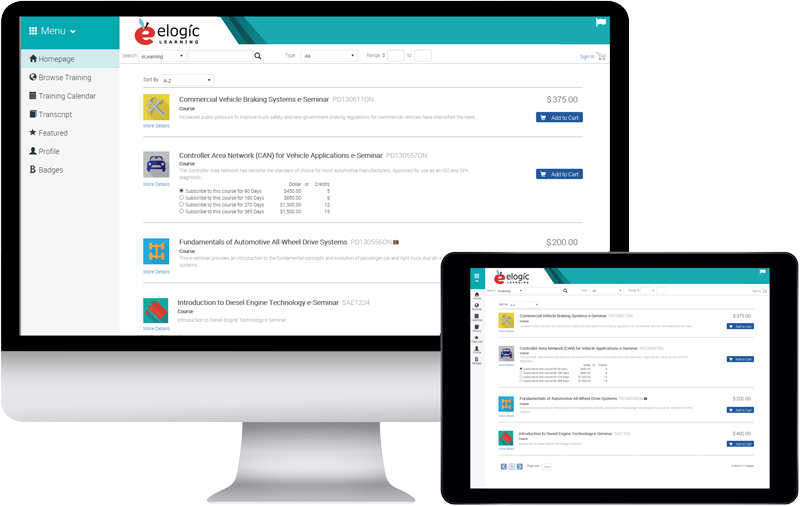 Sell e-learning, instructor-lead training, certification programs, and even physical products through eSSential LMS. Give partners, vendors, members, customers, and more, the ability to purchase your training to better sell your products and services. Encourage friendly competition among learners through the use of gamified objects such as badges, leaderboards, forums, and more. Make informed decisions about future training based on real feedback and detailed survey reports. 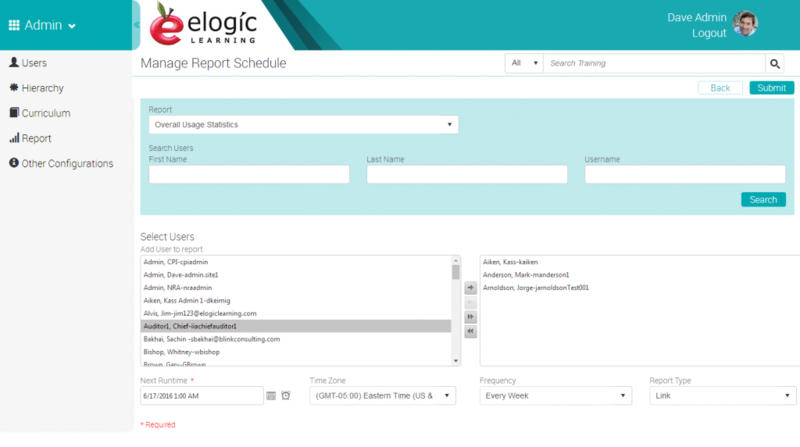 Manage your live & virtual training events from the LMS (schedule events, track attendance, and more). Send data to and from the LMS to streamline workflows (HRIS, Payroll, Active Directory, CRM, Web Portal, etc. ), plus single sign on (SSO). Complex multi-level CEU (Continuing Education Unit) tracking and management functionality; define governing bodies/jurisdictions for training and certifications. Auto-generate certificates when training is completed, design your own certificate templates, certificates can be accessed at anytime via the learner's transcript area. Create Compliance Paths, set deadlines, mandate e-signature, and make training recurring if needed. Audit-ready compliance reports are ready at a moment's notice.